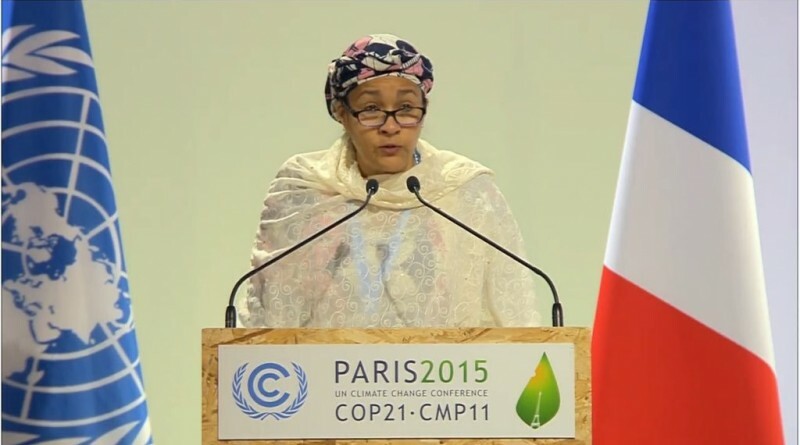 Two decades after the struggle started for the cleanup of Ogoni land and other areas of the Niger Delta polluted by oil, there is finally some light at the end of the tunnel--and that light is carried by Nigeria's Environment Minister, Amina J Mohammed. Before her current role as Nigeria's Environment Minister, Ms Mohammed played a key role in the post-2015 development process as she served as the Special Adviser to UN Secretary-General Ban Ki-Moon on post-2015 development planning. 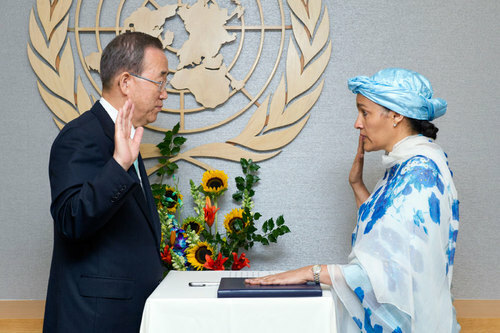 Some other previous roles she has played include; Senior Special Assistant to the President of Nigeria on the Millennium Development Goals--serving three presidents over a period of six years; Founder and CEO of the Center for Development Policy Solutions, and Adjunct Professor for the Master's in Development Practice program at Columbia University. On this episode of #TheStroll Amina, a proud mother of 6 who considers her children as her greatest achievement, shares more details about the cleanup process of the Niger Delta and President Buhari's commitment to this project, an advice on how partnerships can make the SDGs work, as well as her personal success recipe. Amina: You know that COP21 was pretty historic. First and foremost it was a realization and a commitment by the global community that Climate Change is real, and that sent signals really to everyone including the financial sector. For us, one of the major tools we took to that conference was the IMDC which gave us a pretty clear intent on what we could and could not do. So with that we were able to say that our commitment to reducing emissions, at least 20% will be unconditional reduction in emissions by 2030, and we agreed that 45% will be conditional. Now why do we say that? There are so many competing demands we have for resources and if we're going to try to grow our economy, some of those things are tough for us to choose. How do you choose between health and education? They are both important, and so if you want us to go green, that's going to cost. So we're saying that, conditionally, anything that we need to do that is over and above the 20% will require partnerships and investment from those countries that have the resources to invest in our country. As a planet, if we're all going to hold hands together to fight Climate Change, we have to know that all fingers are not equal. In the IMDC that commitment for us unconditionally means that we will target policies in transportation, we will look at our energy mix and see how we move from fossil fuels to renewables over time, we will look at smart agriculture and investments we make; all this is pretty good for us because we're going to do some of these things anyway starting from almost ground zero in some cases. There will be quick wins for instance with the gas flaring, if we can get some reform there and the pricing structure right, that can become a reality sooner rather than later. 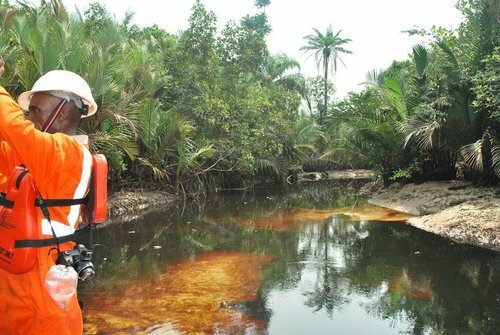 Niger-Delta Cleanup Starts March 2016: Is this for real? 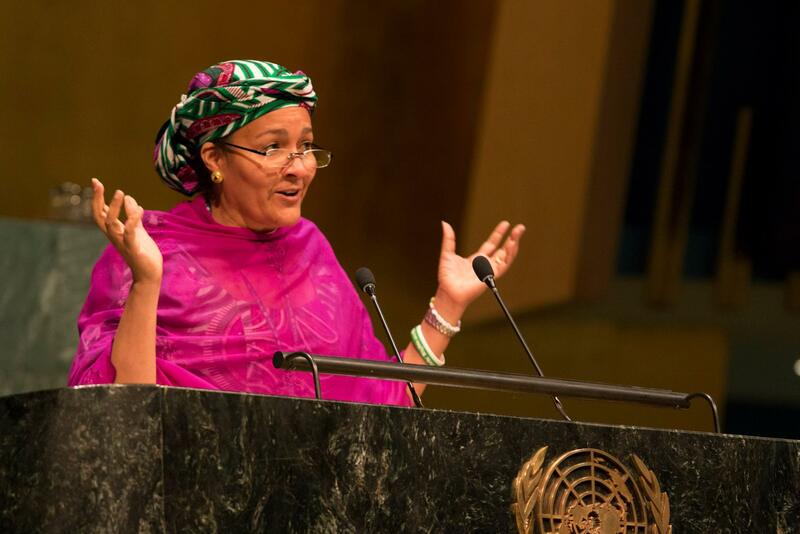 Amina: You know that this plan has been on for a number of years, and what we're all lucky to have is the UNEP report that everyone is galvanized around. But since the UNEP report was handed over in 2011, a number of things have happened. This is a protracted issue, it's very complex and even when we say we've started the cleanup, there are a number of pre-activities that have to take place; the launch then takes place, and then we get on with the post-activities. It will be a tough few years; the first 2 to 3 years will be quite tough, and then you know it will be over 20-25 years to get this done. So in the first instance, what we're doing is speaking with stakeholders, trying to explain to manage expectations. So that when one says we're cleaning up by the end of March, it doesn't mean you're going to see boats out there cleaning up--there's a lot to be put in place for that to be done. Beyond that there's also a need to reorient people towards what it means. My greatest concern is how do we remain clean after the cleanup? And that has a number of issues also to be addressed. The discussion in Nigeria about the diversification of the economy must include the Niger Deltan and what role there is for them in that. What do we do with smart agriculture and aquaculture? How do we see industrialization and manufacturing and all of these potentials for the country? We're very happy that we're in a good place, the President has made this a campaign promise; he has reiterated it in Kenya a couple of weeks ago, and so we're working towards that. It's really a difficult situation and I was down in the Niger Delta last week, and it just brings home to you that every day communities are facing this, and for us to reverse that we have look at both what the oil companies are doing and how far they are stretching and to make sure that they do the right thing. Amina: The first change we made in the narrative for development was one that was about sustainable development, and that whole message was about integrated action with the environment, the economy, and social issues. That then means that we begin to talk about multi stakeholders, and the stakeholders will have different kinds of partnership. Government in a federal system will mean the 3 tiers of government being more coherent and coordinated in the way we spend our domestic resources. 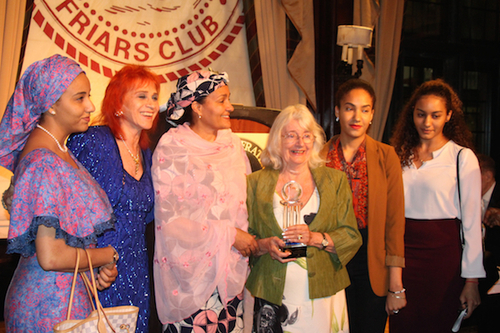 The Private Sector and Civil Society have all got important roles. With business, it's the first time we're really speaking about the role of business in development, but if it's going to be sustainable development, it we're going to look at going Green and reducing emissions, businesses have not just to do CSR, it's about their business models. How do they change things from the inside-out? And that means paying much more attention to what happens in their manufacturing business, and whatever they do and how it affects the environment and the community. So, partnering with them is going to be important, you'll know that Goal 17 is about partnerships, and I think we have to make sure that is recognized first and foremost. Accountability is huge in this new agenda, and so we need a much more robust and strengthened civil society so they can come back with independent feedback and that brings the check and balance for business. I personally believe that there's still so much untapped potential in businesses partnering with Government, because we haven't been able to put a clear narrative as to how this partnership can work and how Civil Society can be the check and balance and be that watch dog to make sure that profit isn't made on the back of the poor. What is your Personal Success Ingredient? Amina: I grew up in an environment where people matter and that is very important, and so I put that at the center of everything I do. I cannot move on in life if I look at my left and right and see that there are those that are less privilege that I can do something about. So what are the secrets? I suppose is that generally stay committed to the conviction that people do matter and that you will fight for them anytime that you find the opportunity. Also, I have always enjoyed doing what I have done, no matter what is being put in front of me. I have done it, I have embraced it, and I have run with it. And I have done that because of the most important thing which I have going for me which is my faith. I think having faith is incredibly important. I think the only thing that never fails you is God. People do, situations happen, how do you pick yourself up and go further? How do you continue a day after tragedy? I think it's all about faith. So that is it, faith and I make sure people are at the center of everything that I do. I am hopeless without people, I am hopeless without a community, I am hopeless without a lot of people around me (laughs). Yeah, that's just what I do. Amina: (Hahaha) that is mission impossible. I love them all, and the analogy I will give is that these are my 17 children, and every single one of them is special in a different way, but together they are amazing. So it's not possible for me to say that I pick anyone of them out. I also think that it is important that whenever I find myself in a situation, I ask, what are the SDGs that will help me get further in my journey? I'm in the Environment sector now, I will pick up the climate action SDG, I will also pick up what happens on Land, and under the sea, but I will also see the linkages to the 11 or 12 that will make them work. 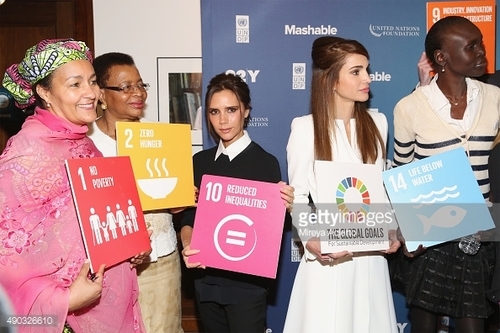 I think that's the beauty of the SDGs that you will always feel connection to any one or all but at the same time, you can't leave the others behind. It's all we've said. It's about people and it's also about the goals. You can't leave any goal behind because then you won't succeed. Find 100+ inspiring stories like this here --> bit.ly/Strolls or follow @Strollinterview on Twitter for more information.